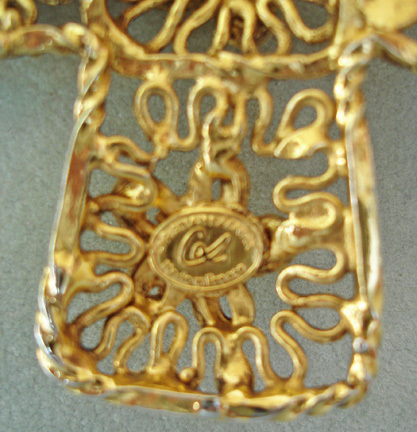 One only has to reflect back to the times of the French Court at Versailles to see where Lacroix begets his inspiration. 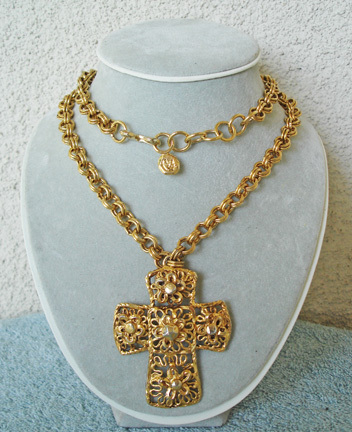 Being offered, circa 1980's, long heavy rolo chain with elaborately detailed baroque cross. 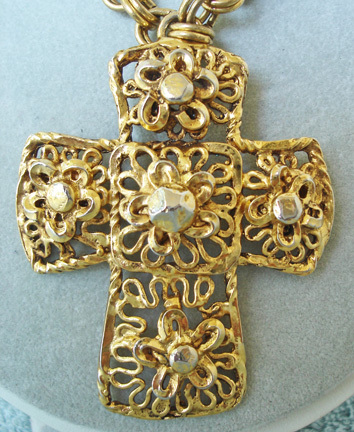 Cross measures almost 3"L x 2 1/2"W and is very substantial and weighty featuring a twisted wire design with 5 dimensional raised florets completing the look. 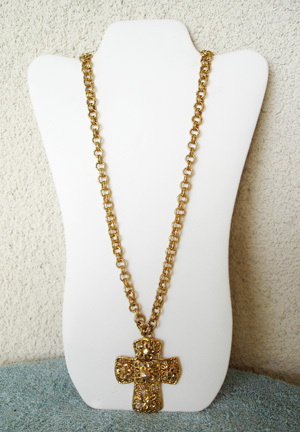 Chain is equally subtantial and weighty measuring approx 32"L and total length including cross approx 36". 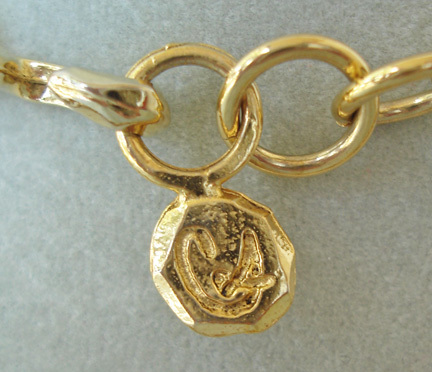 Excellent condition; signed and hang tag on chain.